Do I Need to Sign Up for Medicare if I am Still Working at 65? More and more Americans are working past the age of 65 which is the eligible age for Medicare. If you are approaching your 65th birthday, and you are not planning on retiring then this is what you need to know! Currently, if your employer has 20 or more employees, you don’t have to enroll in Medicare if you don’t want to. Your health insurance through your employer is your primary, which means they pay your medical bills first. You can delay enrollment into Medicare once you retire. You may however, choose to drop your employer coverage, enroll into Medicare and join a private health plan. You will need to compare the cost of coverage with your employer versus enrolling into Medicare and obtaining your own coverage. Many of our clients have dropped their group coverage and joined Medicare because they would save money on their monthly premium or have richer benefits. If you work for a smaller company with fewer than 20 employees, you must sign up for Medicare as soon as you are eligible. With small companies, Medicare is the primary payer. If you don’t sign up, but stick with your group plan, the group plan can refuse to pay your claims. Also, when you do finally sign up for Medicare, you may be faced with late enrollment penalties. If you keep your insurance coverage through your employer, you’ll have a special enrollment period after you leave your job. You can sign up for Medicare and enroll into a Supplemental plan and/or drug plan without being penalized. Some employers offer retiree health benefits for a period of time after you leave the company. If you have one of these retiree plans, you still need to sign up for Medicare. Medicare is considered the primary payer with retiree insurance plans, so if you don’t enroll, your corporate plan may not pay. COBRA covers health benefits for up to 18 months after you leave your job. Medicare is still the primary payer if you have insurance through COBRA. If you are using COBRA for your insurance benefits, you need to sign up for Medicare as soon as you are eligible. What happens if you don’t sign up Medicare? Missing your enrollment into Medicare while you are still working or on COBRA can result in penalties and delayed coverage. Under Medicare rules, it’s the day you actually leave active employment, not the day your COBRA or retiree benefits end, that matters. After you leave your job, you have an eight-month special enrollment period to sign up for Medicare and a Supplement plan, if you choose one. Miss it, and you could be without coverage for many months. How do I sign up for Medicare while working? 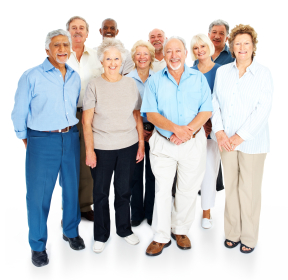 You can sign up for Medicare either online at www.ssa.gov , by phone or by visiting your local Social Security office. Your initial enrollment period starts three months before your birthday month and end three months after your birthday month. Whatever you’re considering, it’s very important to talk to your employer’s benefits coordinator before you decide. Your benefits may change if you enroll in Medicare while working, even if it’s just Part A. Get the facts from your employer and then contact us. We can help you compare the cost of your employer coverage against the cost of Medicare as primary coverage. You’ll get free guidance on which route will be most cost effective. We know that this may be a confusing and a lot of information to digest! That’s what agents like us are here for! Please feel free to contact us directly (844) 817-0878.